There are four assessment reports available through MasteryConnect: the Item Analysis, Student Mastery, Tracker Comparison and Teacher Comparison report. This article will show you how to access these reports. For a single-standard assessment, hover over the assessment title and select Reports. For a multi-standard assessment, you’ll first have to click on the assessment title, and then hover over the orange menu button and select Reports. 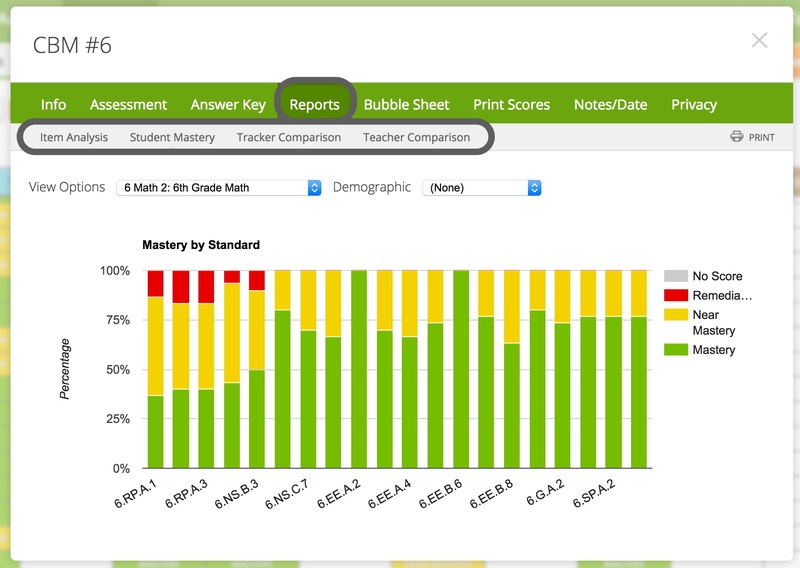 On the Reports tab, you can view the Item Analysis, Student Mastery, Tracker Comparison or Teacher Comparison report.